Forty years ago last month, congressional authority to mandate military service expired. We've had an all-volunteer military ever since. With just a fraction of able-bodied Americans on active duty—1.4 million today, compared to 9 million during the Vietnam era—this generation of soldiers has endured more and longer deployments than any other generation. Repeated deployments in Afghanistan and Iraq, studies suggest, have taken a toll on American service men and women. 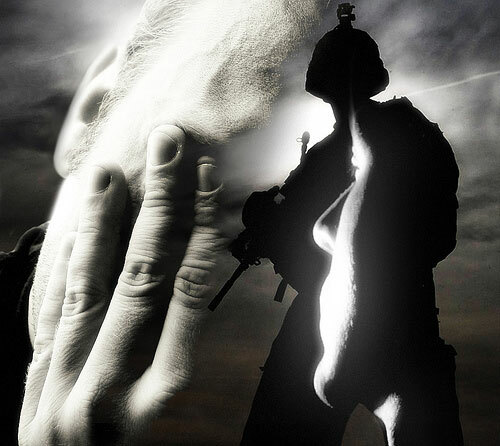 Several studies have found increased rates of post-traumatic stress, depression and other mental health problems among troops who served multiple tours of duty. And suicide rates among those on active duty in the Army and Marines nearly doubled between 2005 and 2009. Before the wars, suicide rates among service members were 25 percent lower than rates among civilians, attributable in part to universal access to health care. But last year, the Defense Department recorded a record 349 suicides, an average of one a day. Because rates among those serving in the Air Force and Navy remained stable, some reasoned that repeated ground combat tours in Iraq and Afghanistan could be to blame. But as military psychiatrist Charles Hoge pointed out in a commentary last year, no study had definitively linked factors related to deployment with suicide risk. Although suicide rates rose dramatically since 2001, suicide remains exceedingly rare compared to associated risk factors, making it difficult to assign causes. Hoge, a senior scientist at the Walter Reed Army Institute of Research, said the best way to study the question was to follow individuals over time, beyond their time of service. That’s just what Hoge and his colleagues did in the largest study to investigate this disturbing trend. Their report, financed by the Defense Department and published last week in The Journal of the American Medical Association, is the first prospective study to look at suicides in the military. By following individuals over time, prospective studies can better determine how potential risk factors interact to affect a given outcome. Data collection for the study ended in 2008, and so it’s possible, the authors acknowledge, that the cumulative strain of multiple, lengthy deployments wouldn’t have shown up until the later years. Even so, the study included the period that saw the steepest rise in suicides, between 2005 and 2008, and still failed to find specific deployment effects. And because the study links data between military service and post-military life, Hoge told me, it sheds light on the relative importance of risk factors during both phases. These findings align with several other studies that show similarly small or absent effects of deployment on suicide risk, says Craig J. Bryan, associate director of the National Center for Veterans Studies at the University of Utah. Bryan, who was not involved in the study, calls it “probably the most reliable study to date on this matter,” citing its “very large sample” and use of death by suicide as the primary outcome (rather than suicidal thoughts or attempts). We’ve known for years that mental health problems are better predictors of suicide, Bryan adds. More than 90 percent of people who take their own life suffer from a mental or substance-abuse disorder, according to the National Institute of Mental Health. Bryan hopes this study helps people understand that general assumptions about suicide can be wrong. He and his colleagues just finished a study, not yet published, that flags suicide attempts before military service as the strongest predictor of risk after enlisting. The findings could reflect the fact that some people have difficult, chaotic, troubled childhoods that increase risk for suicide attempts at a young age, he says. Vulnerable individuals might join the military as an escape from difficult lives, as an attempt to “make something of myself” or because they feel they have no other choice.